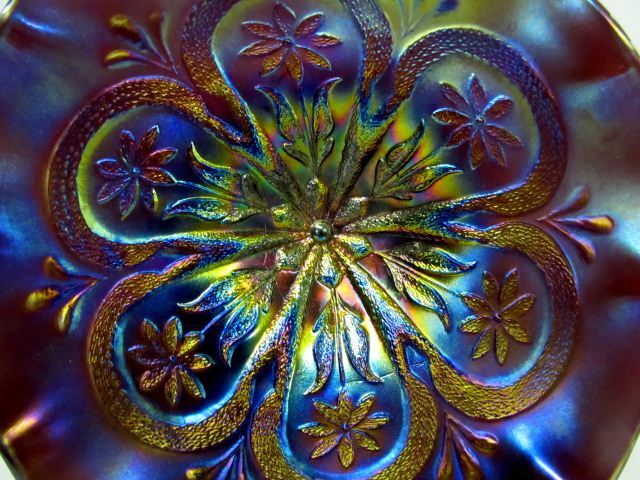 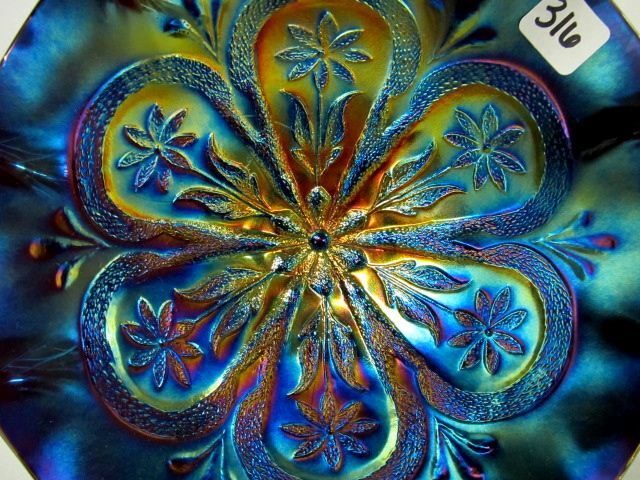 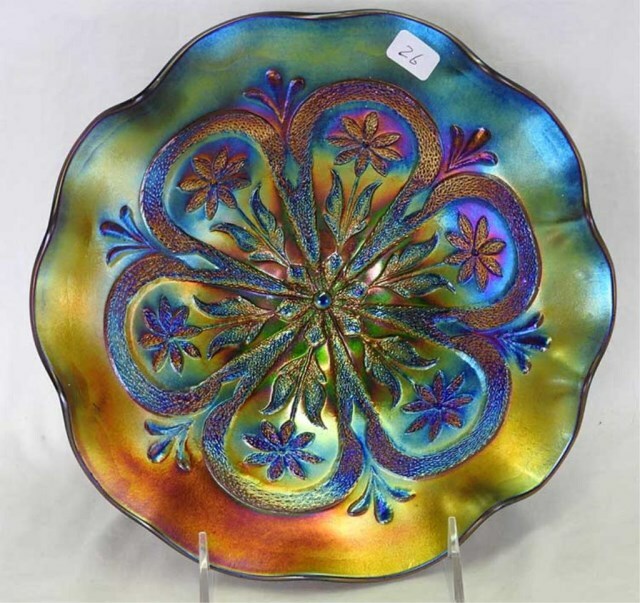 The frames on this pattern loop around the flowers that radiate out from the center. 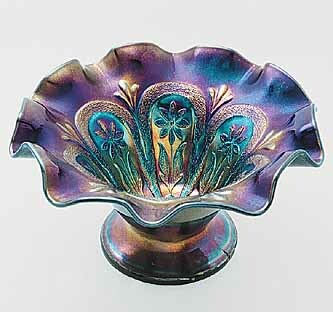 Known only in dome-footed bowls and bowls that have been whimsied up enough to make a compote or vase. 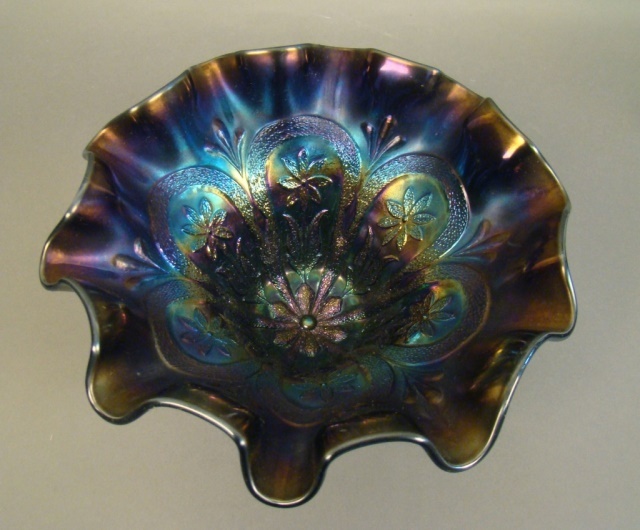 Most bowls are ruffled but some are tri-cornered. 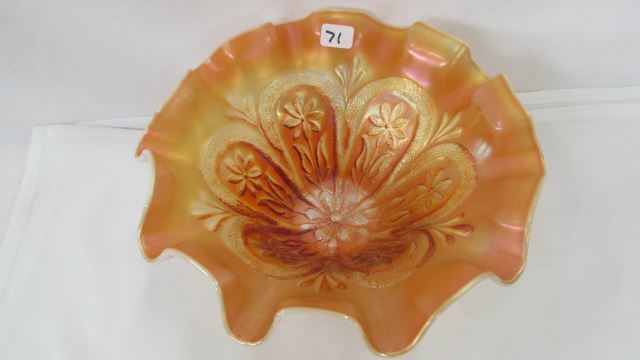 A similar pattern made by Dugan is Border Plants that has the similar frames but with long petals instead. 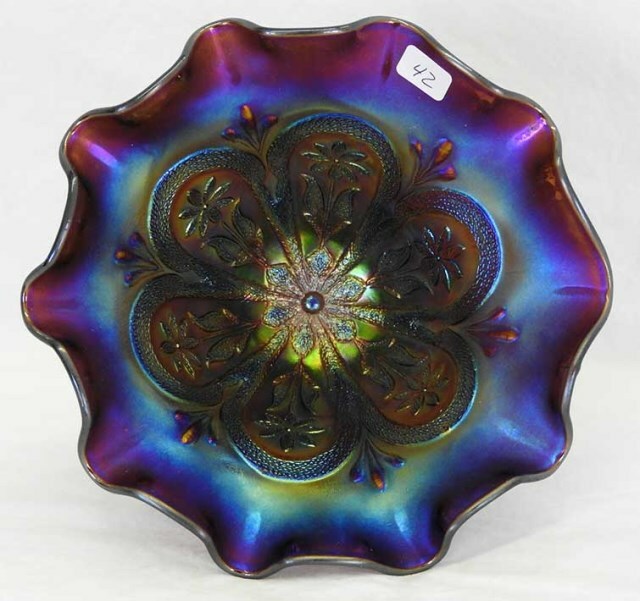 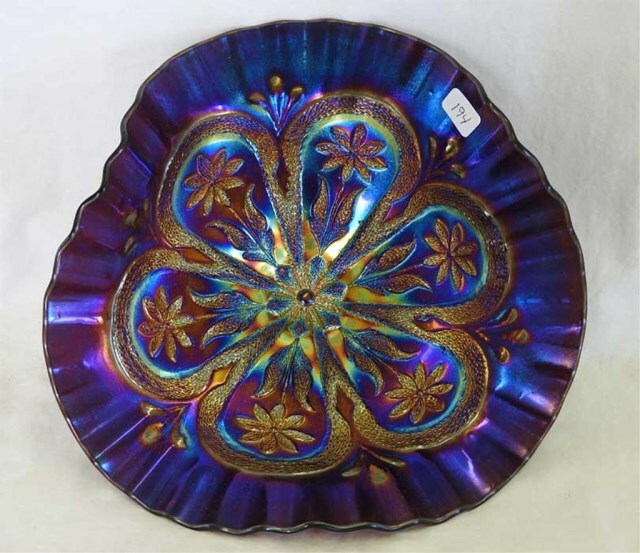 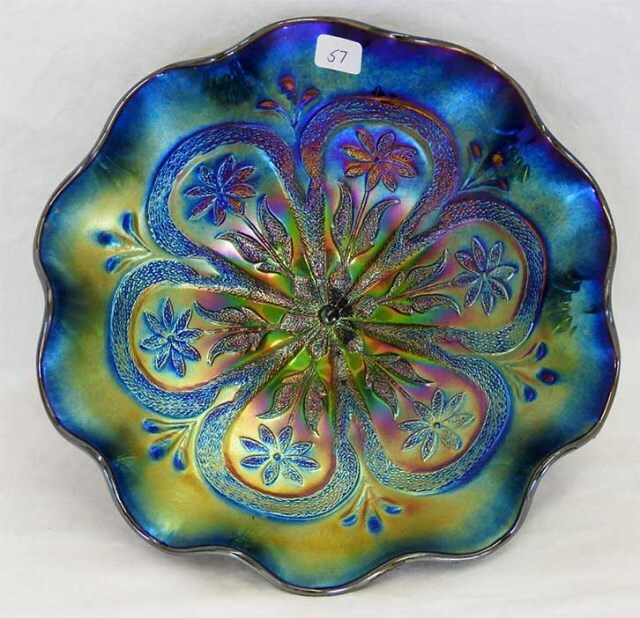 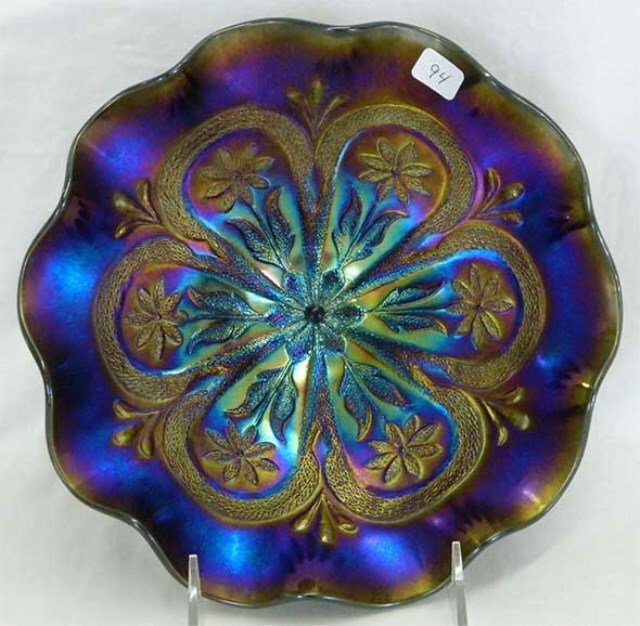 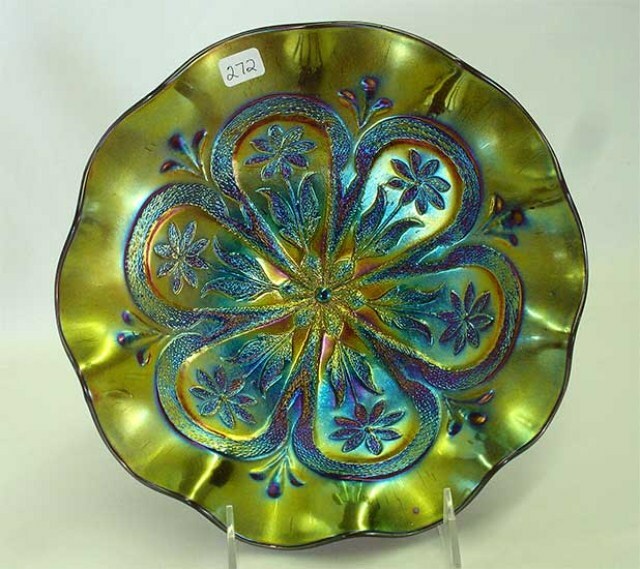 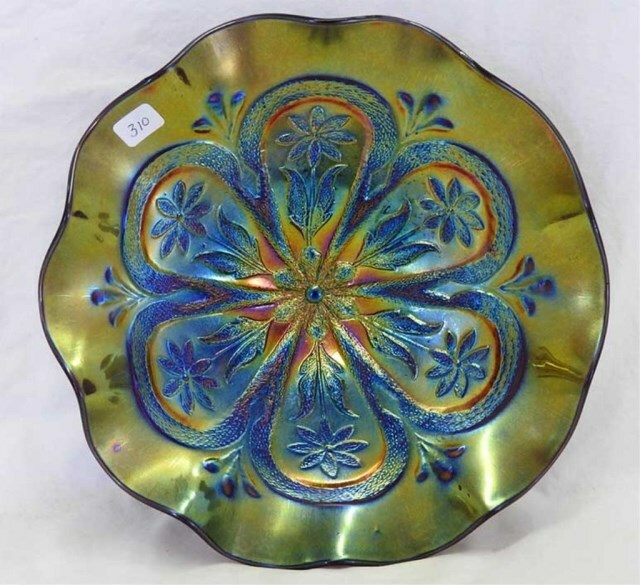 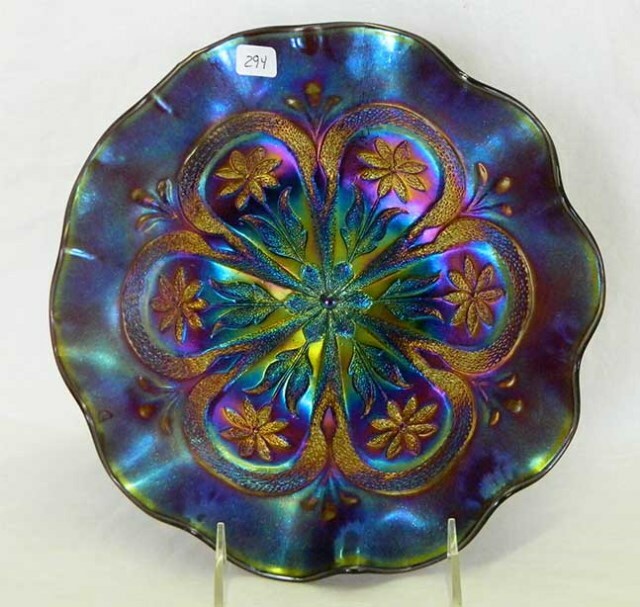 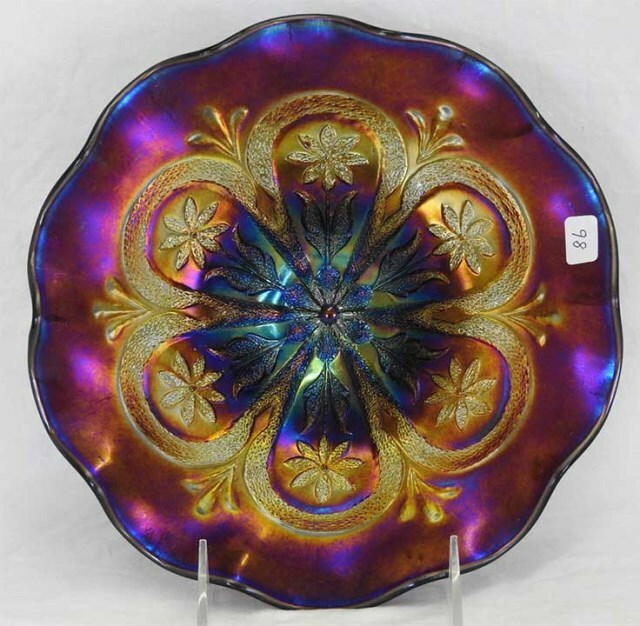 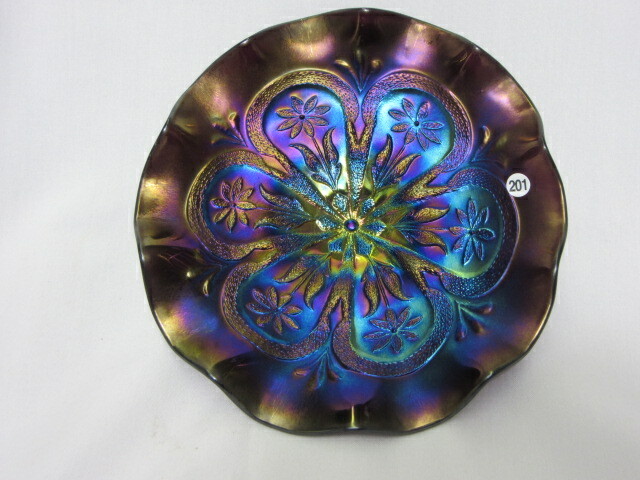 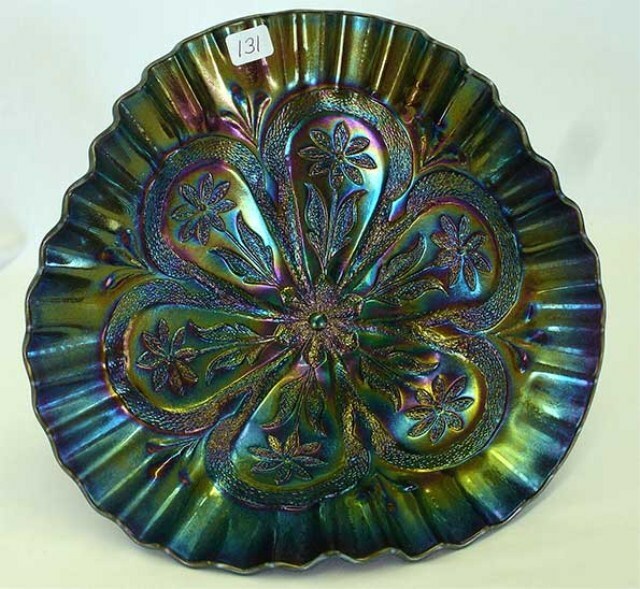 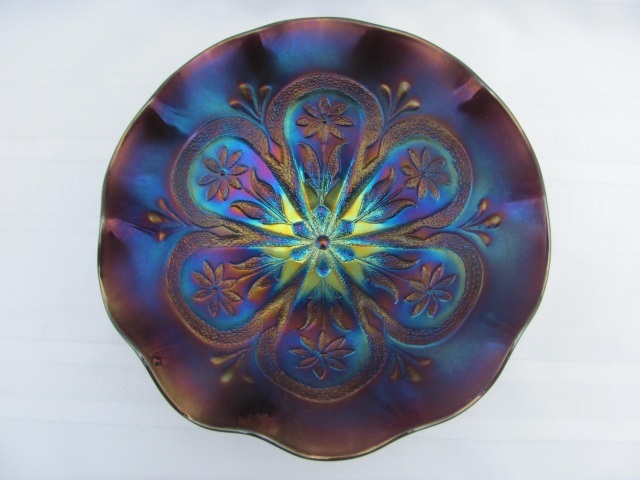 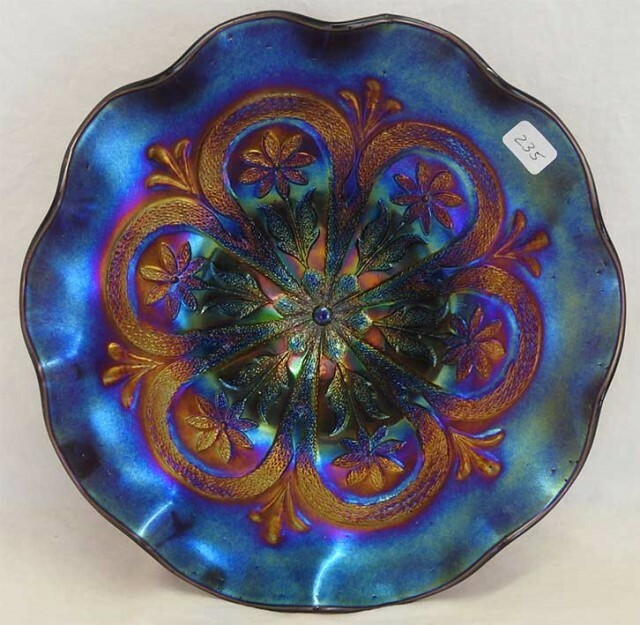 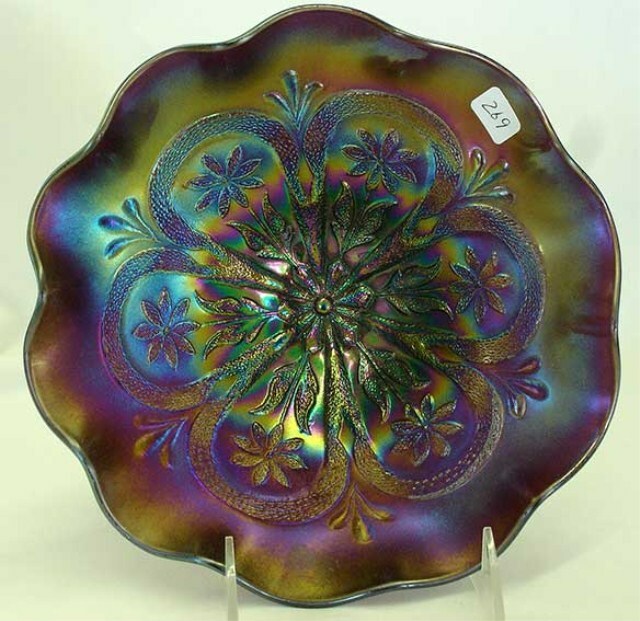 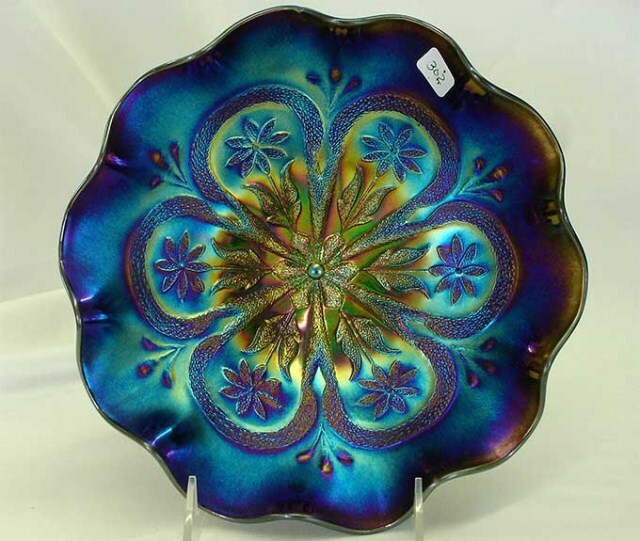 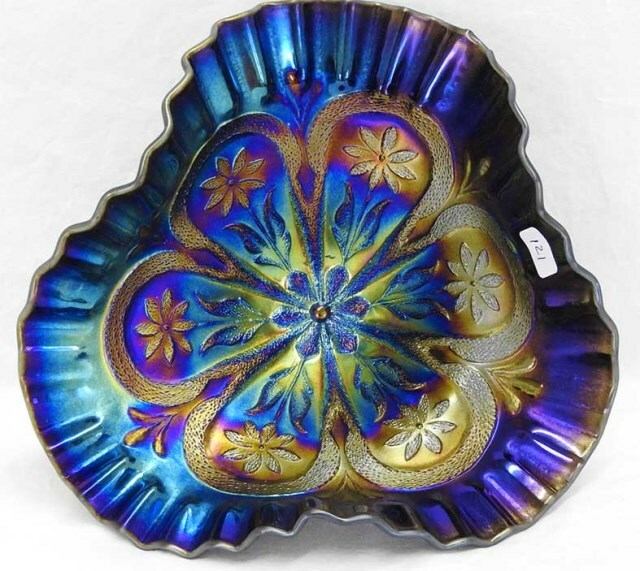 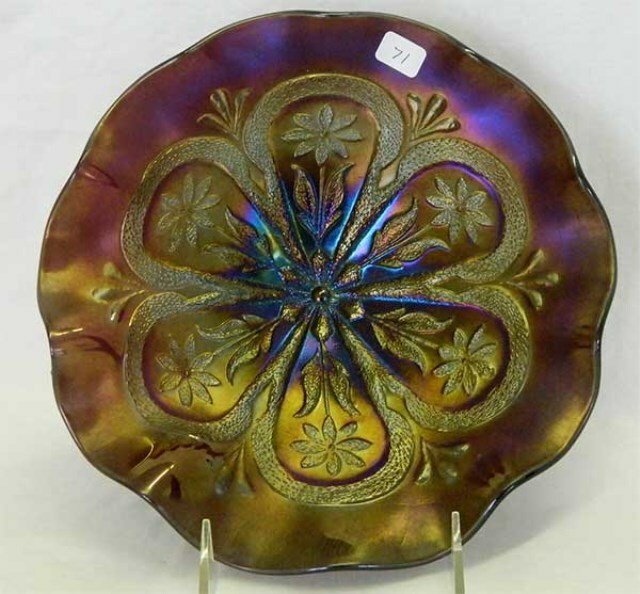 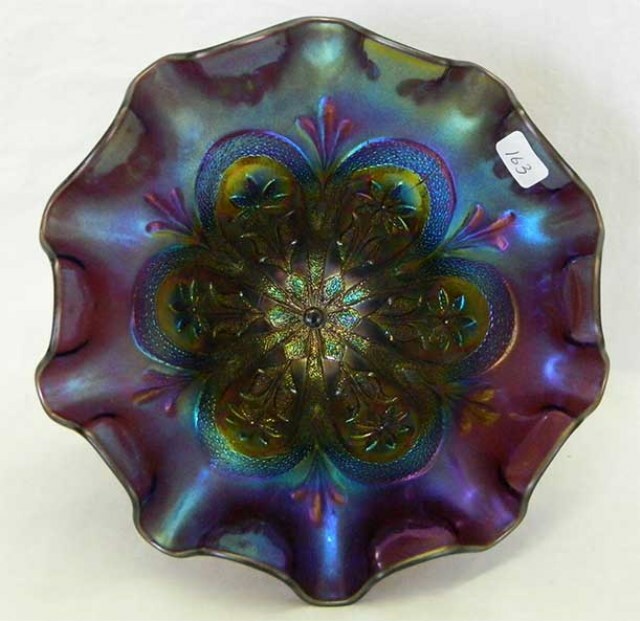 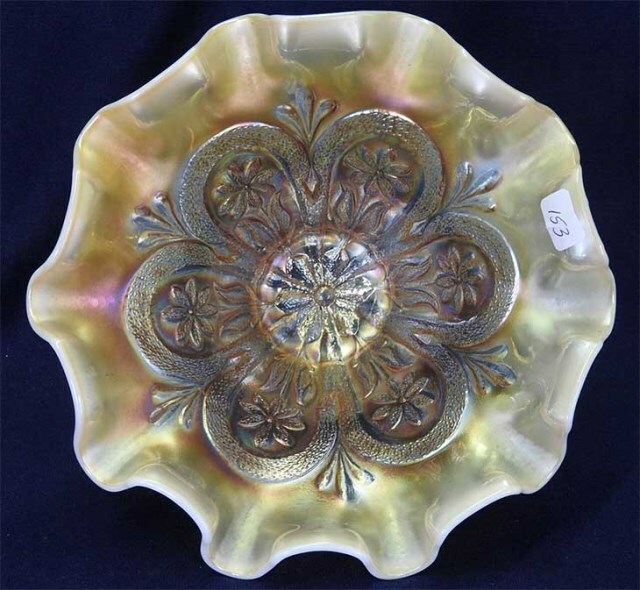 The deep bowl above right sold for $450 in 2000. 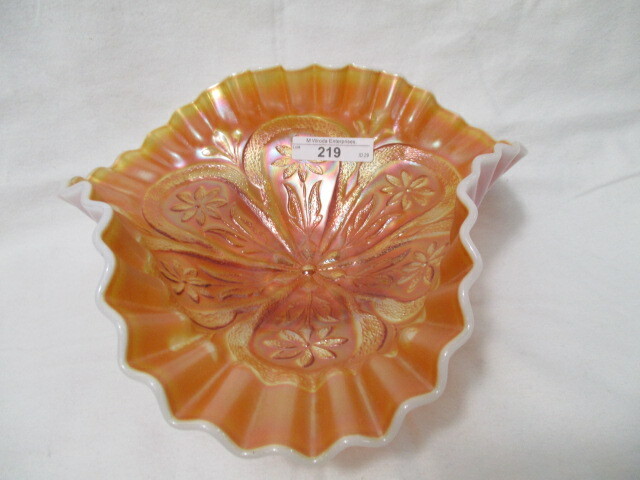 Marigold is rare in this pattern. 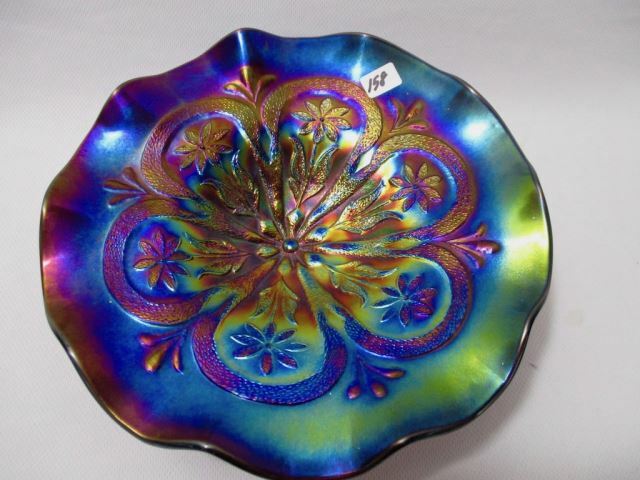 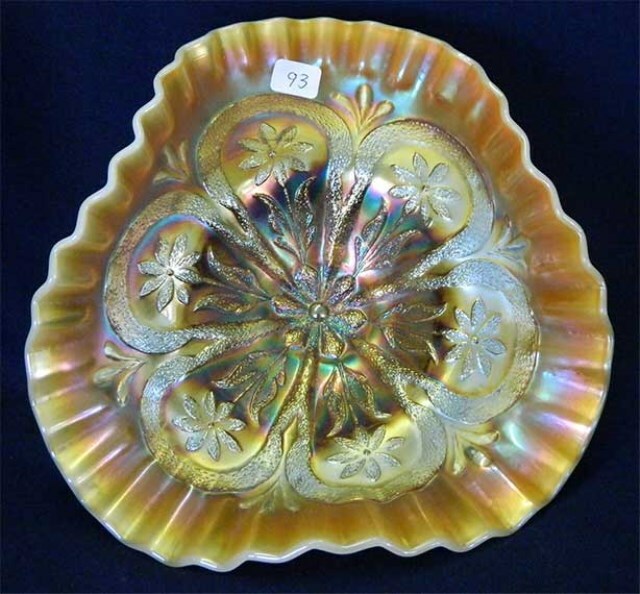 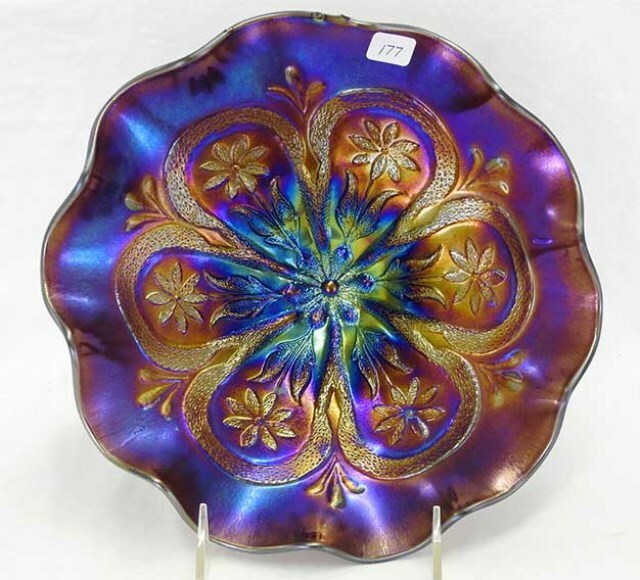 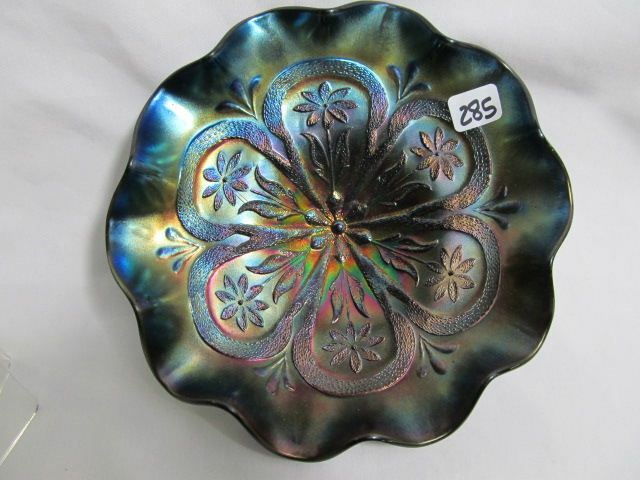 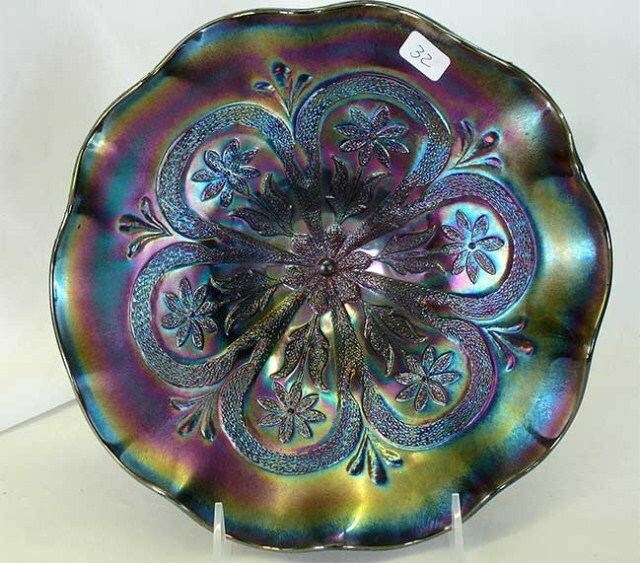 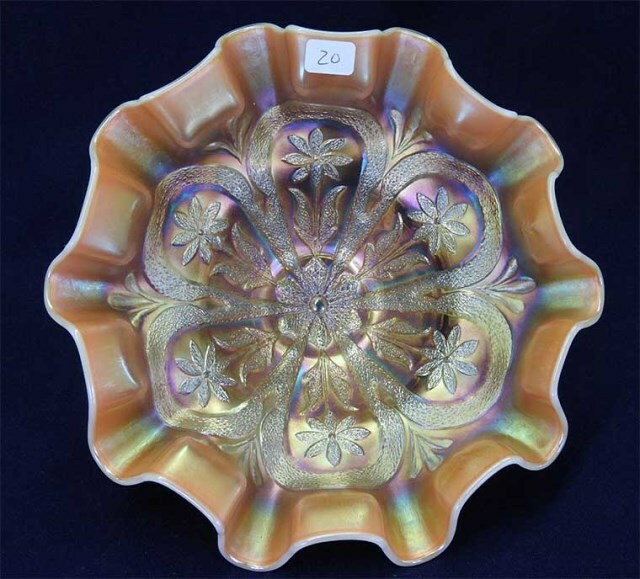 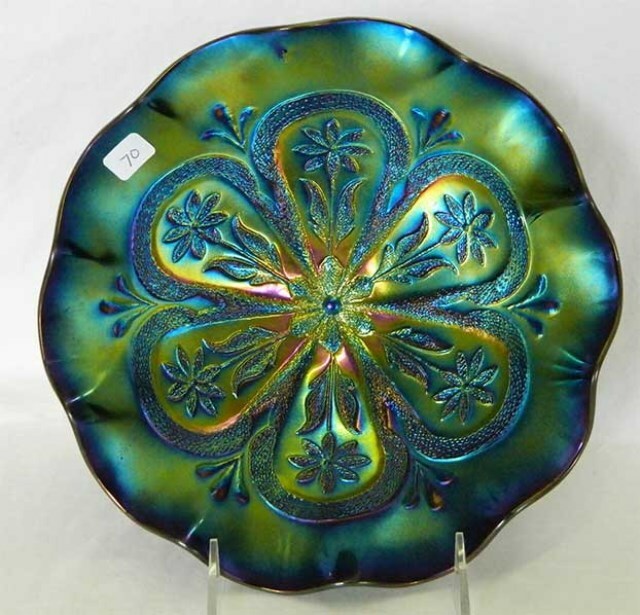 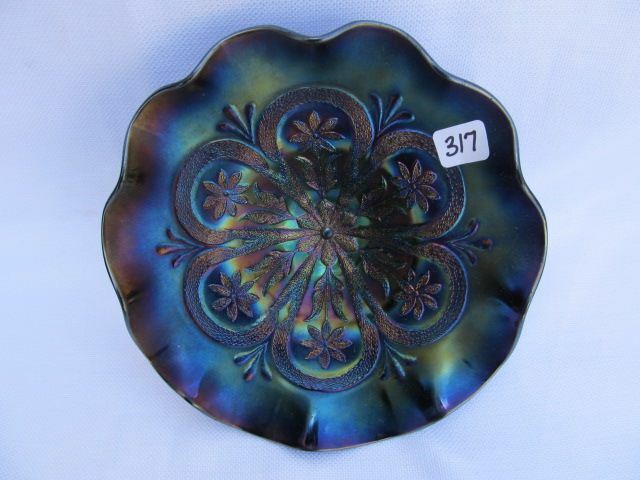 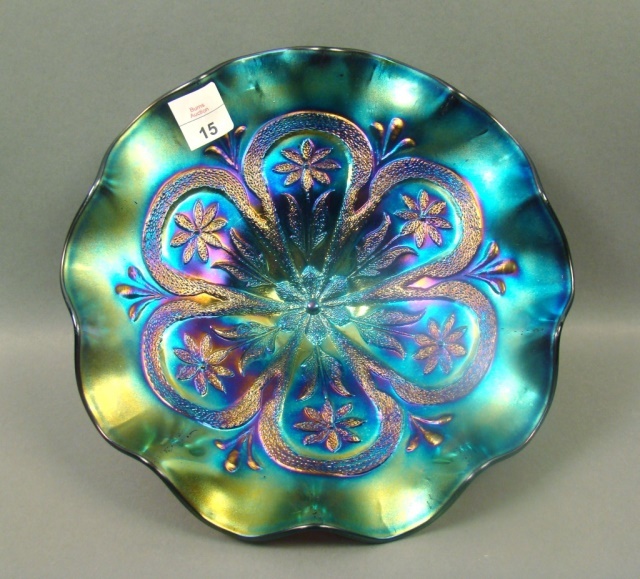 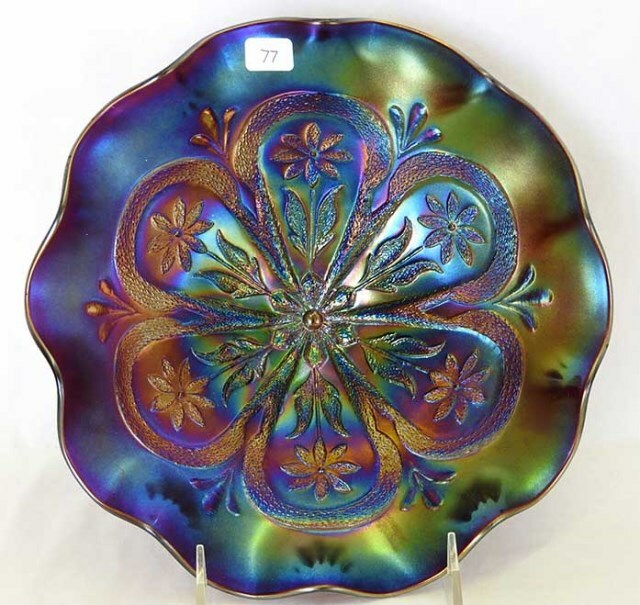 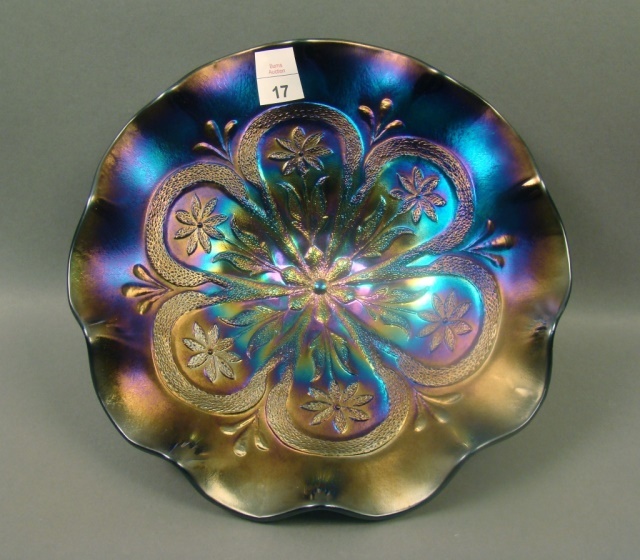 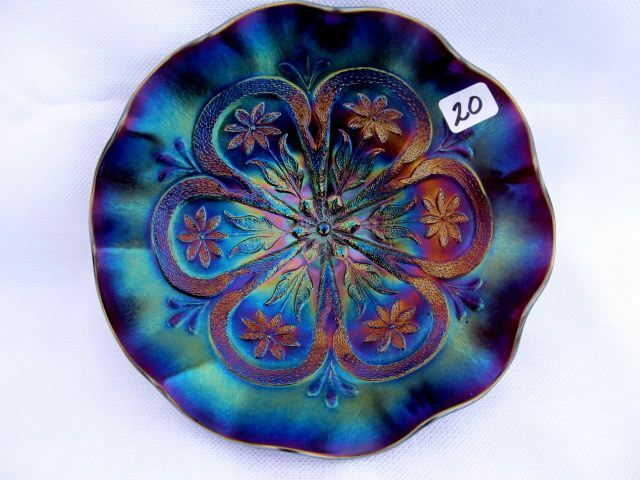 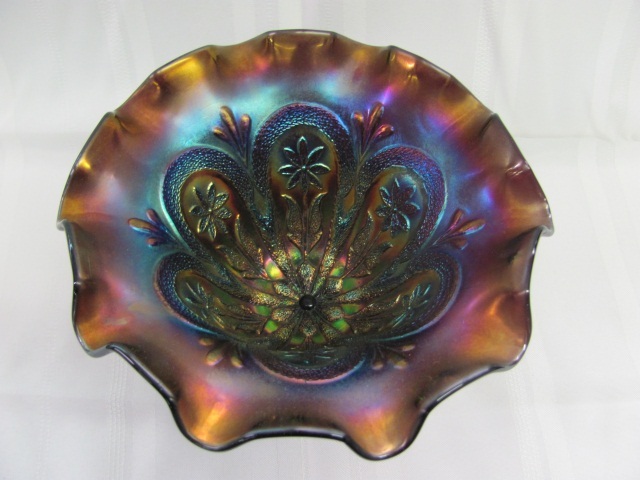 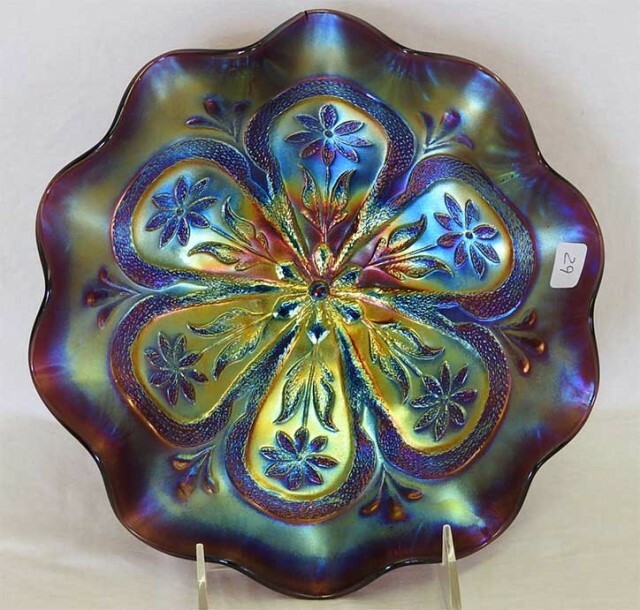 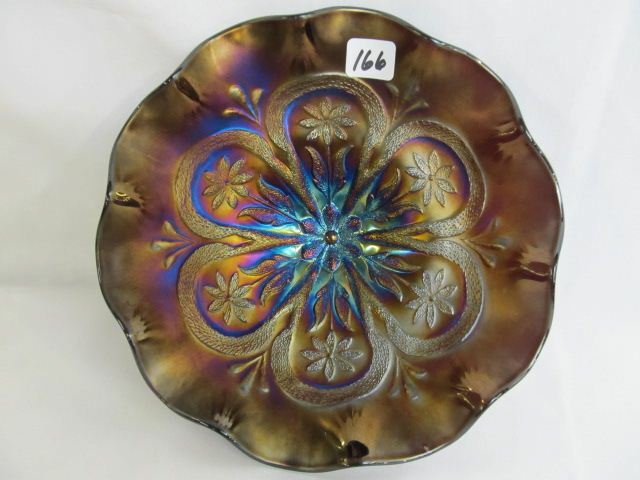 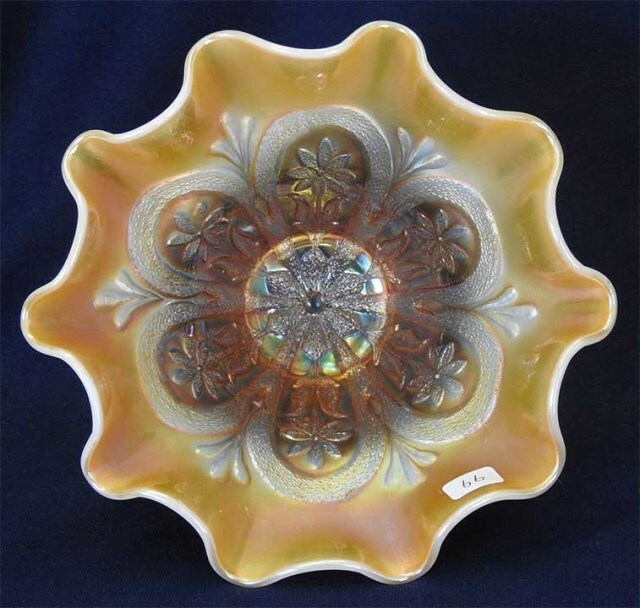 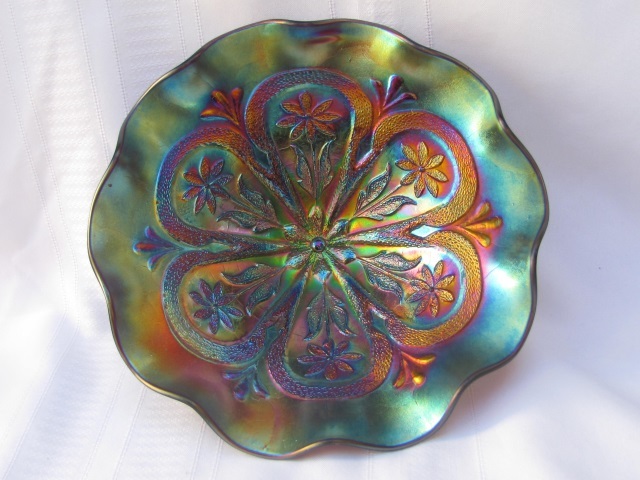 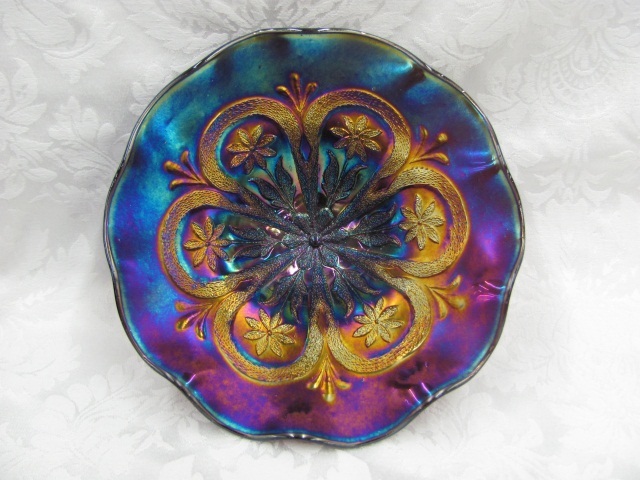 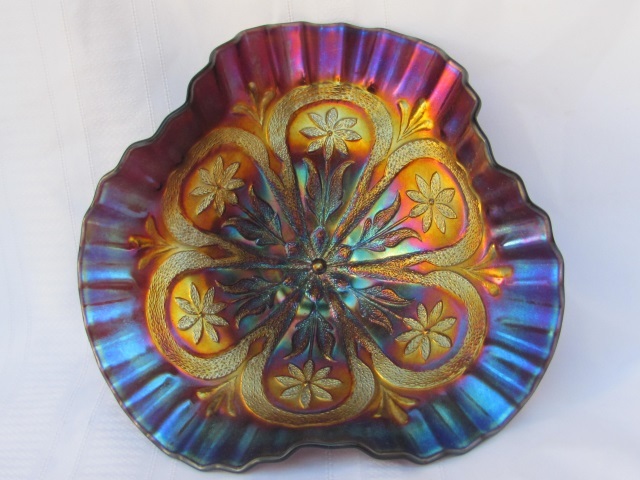 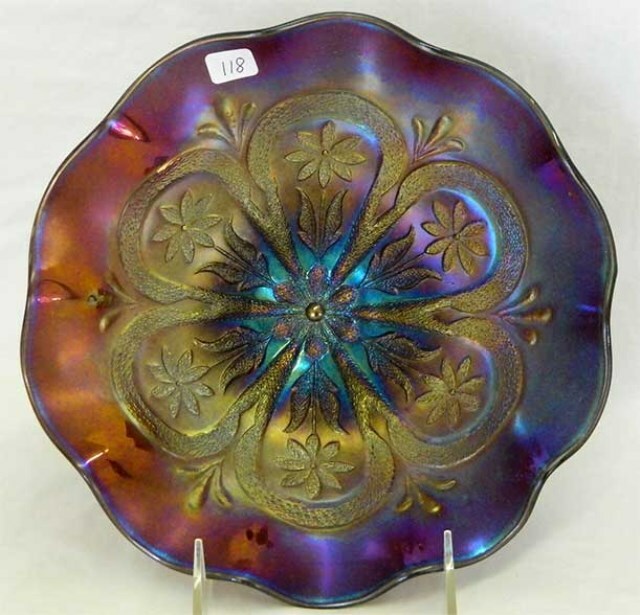 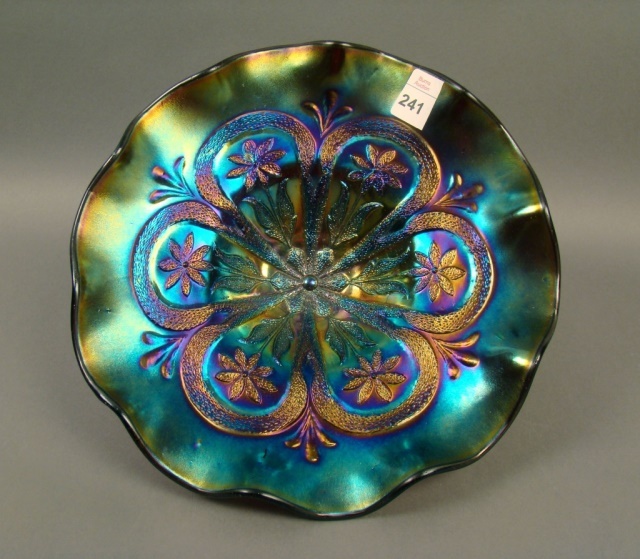 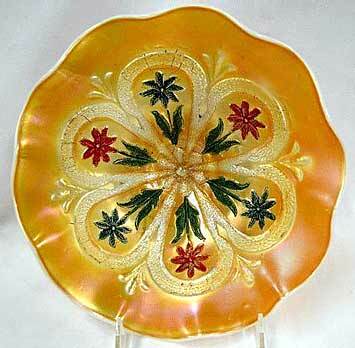 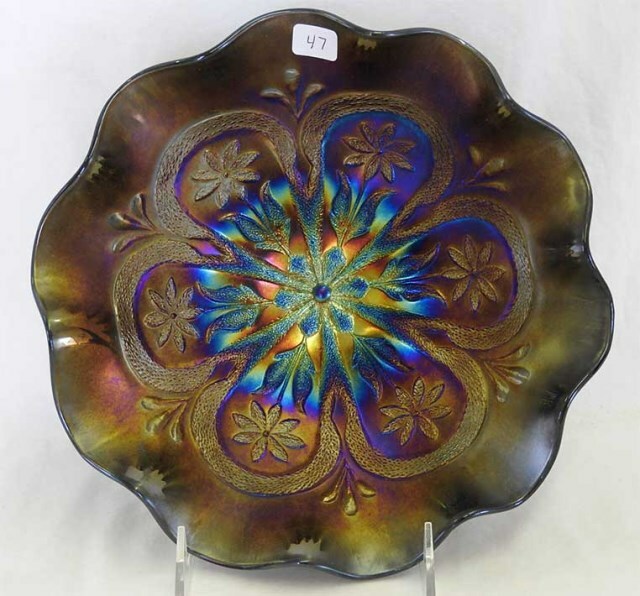 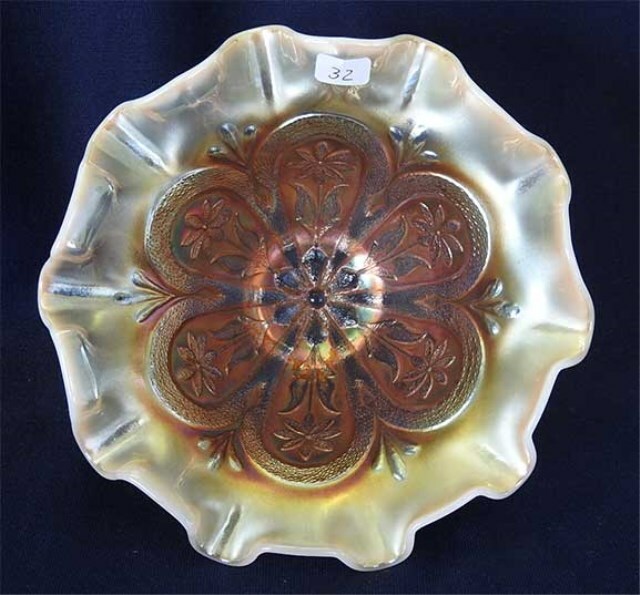 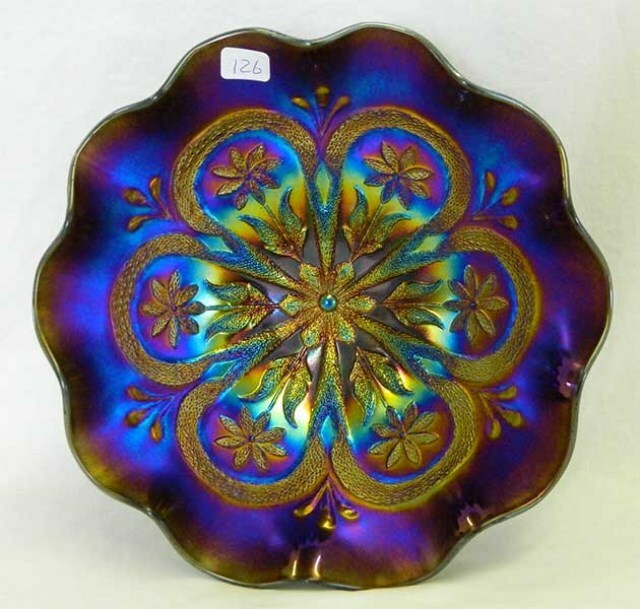 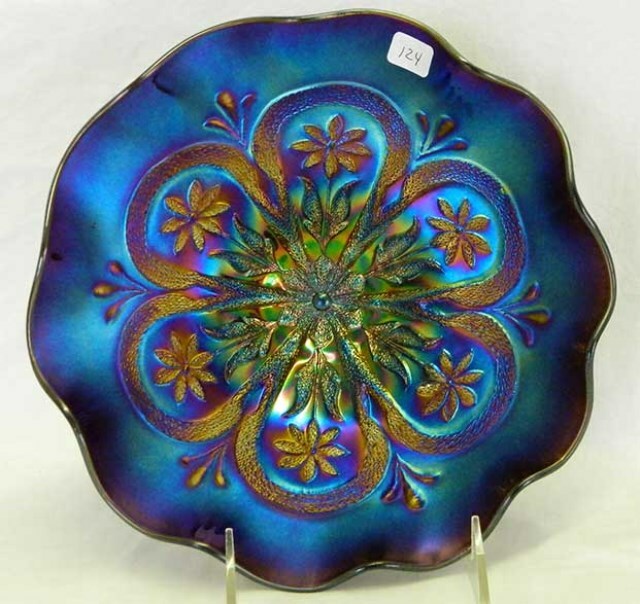 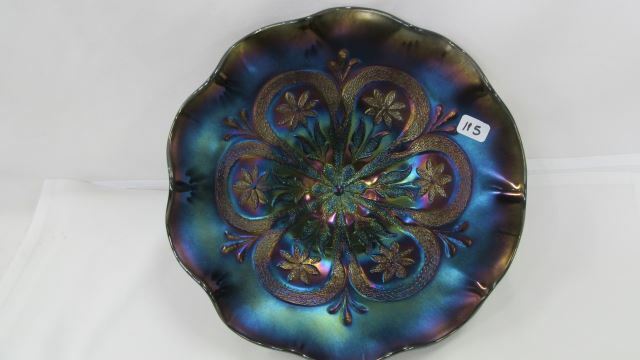 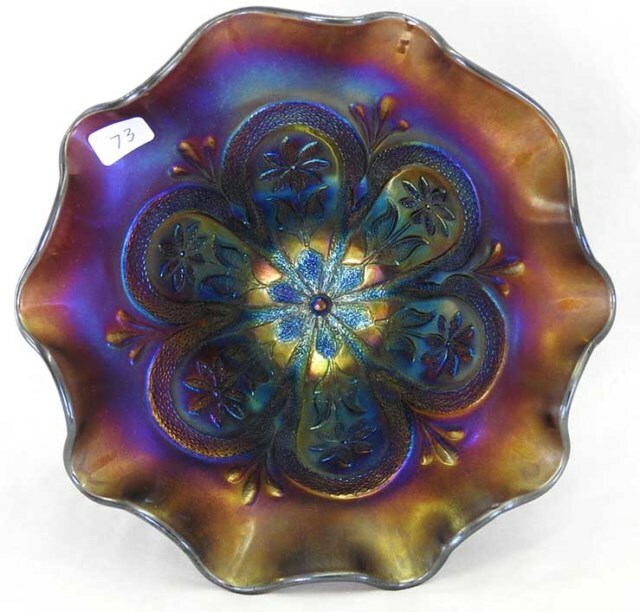 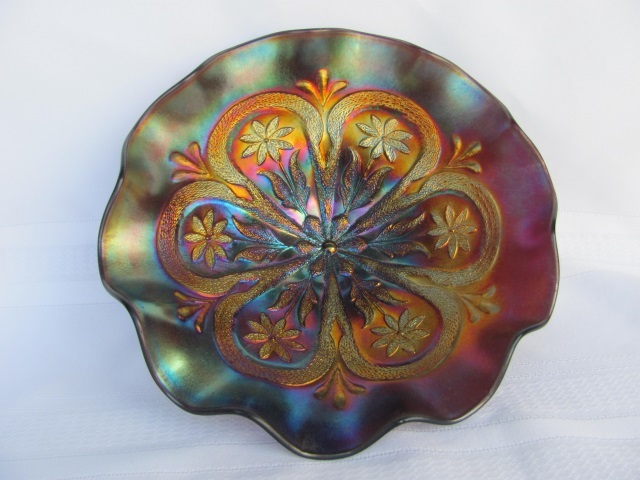 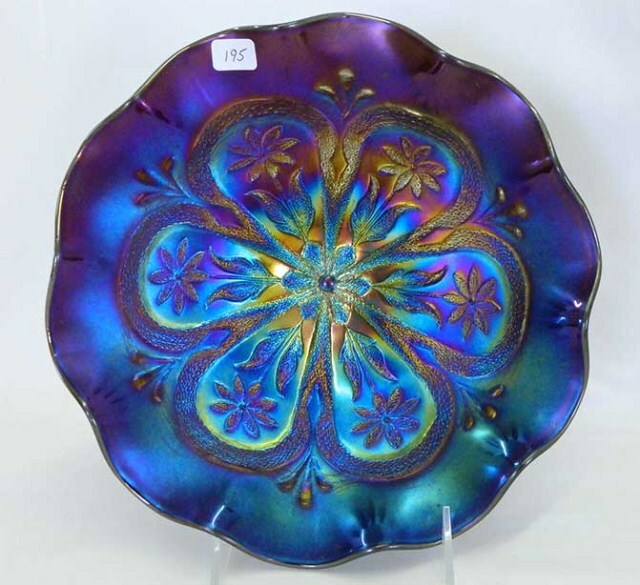 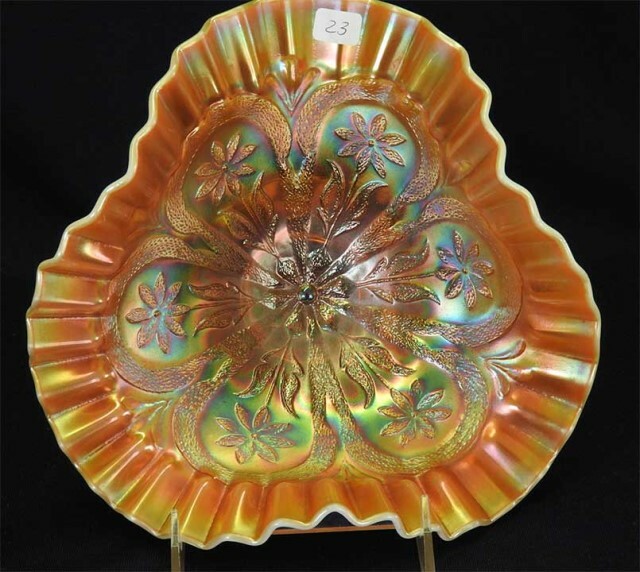 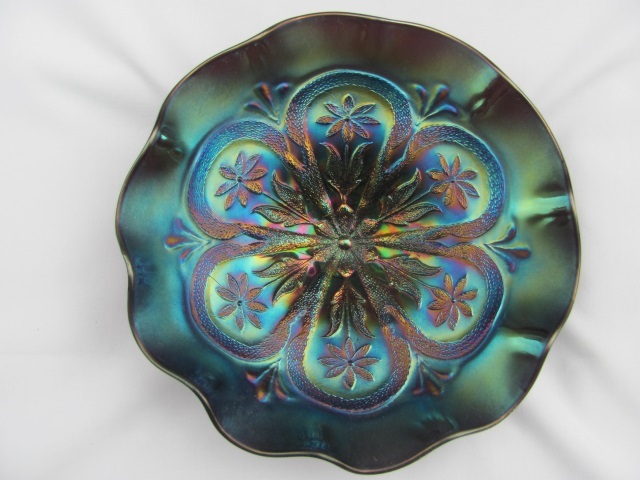 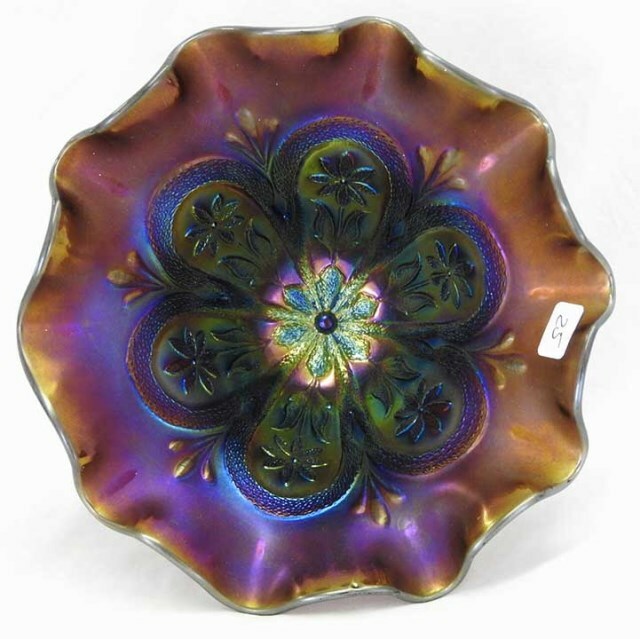 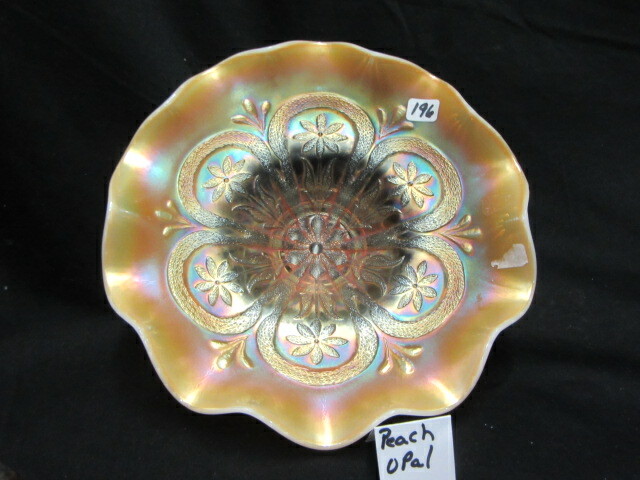 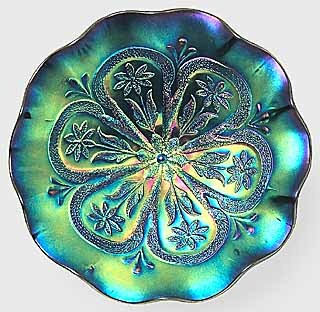 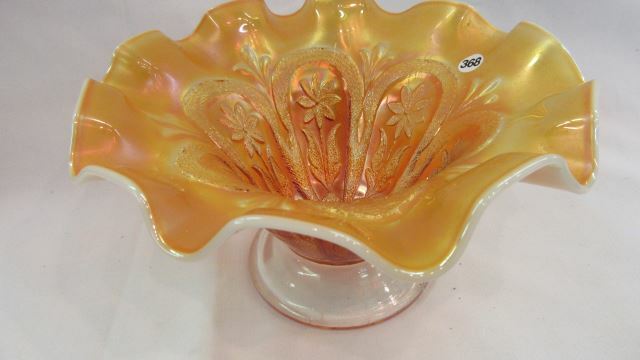 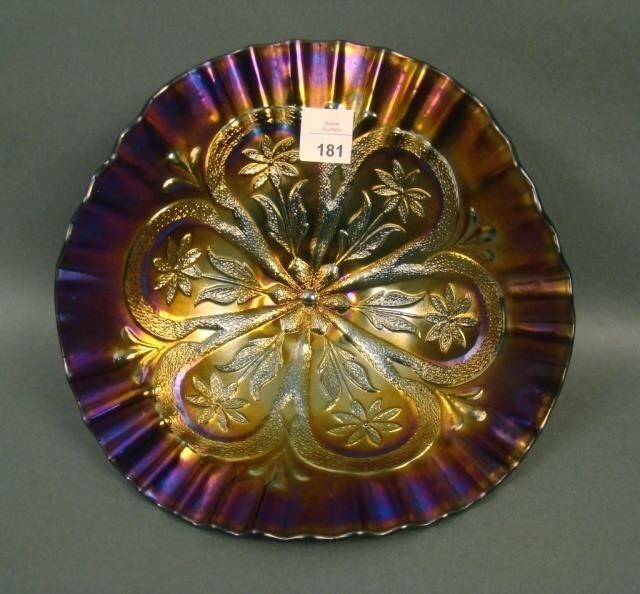 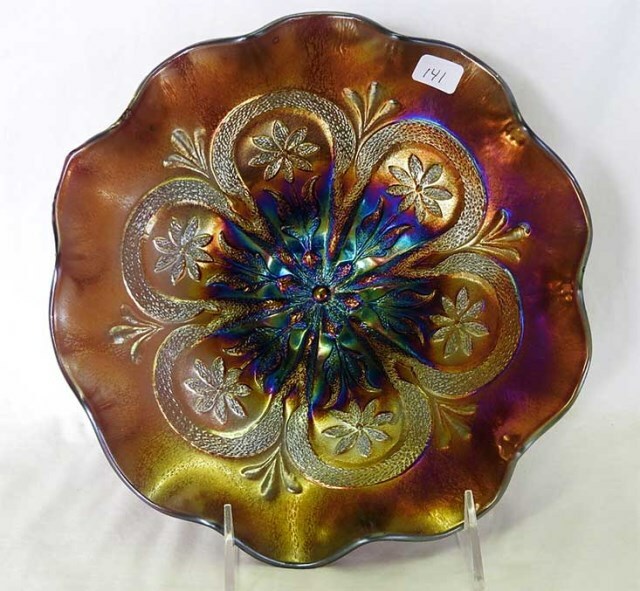 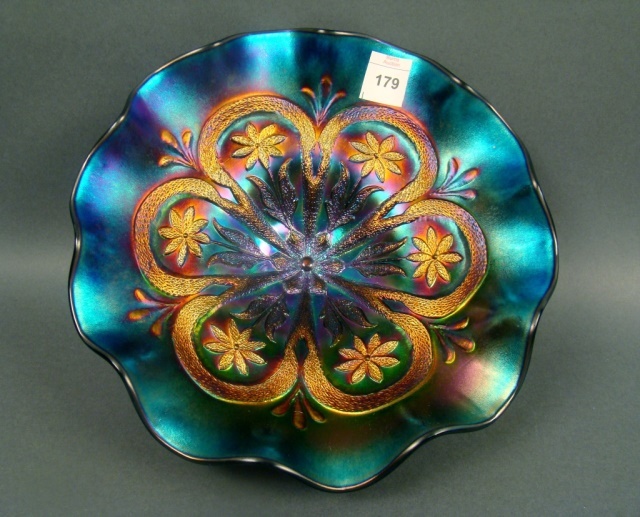 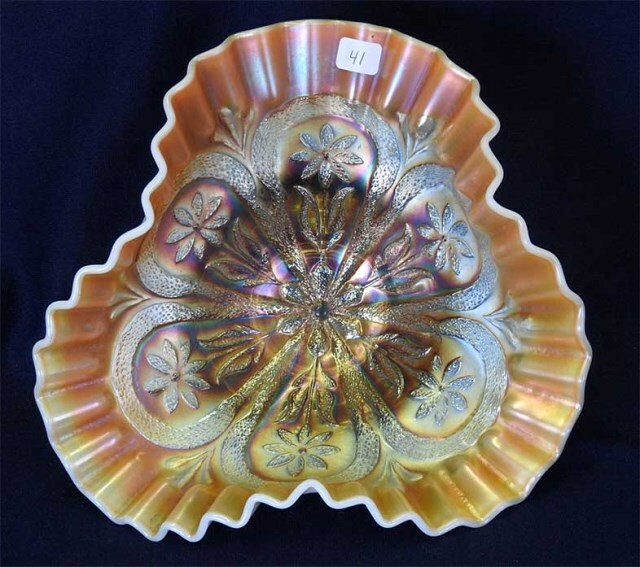 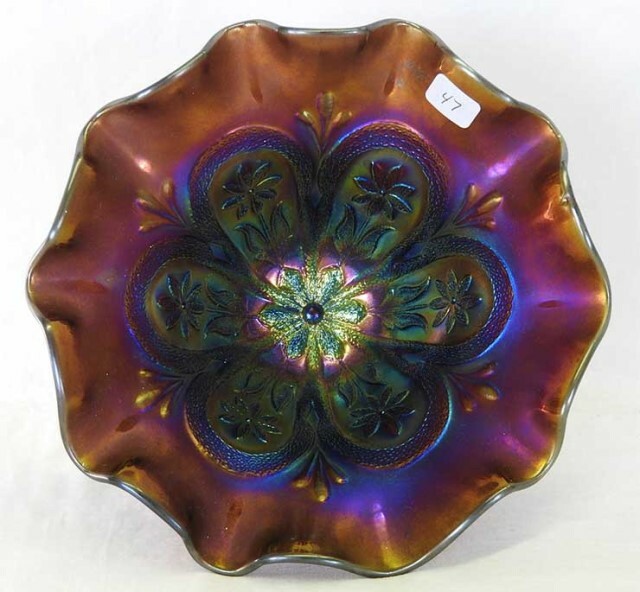 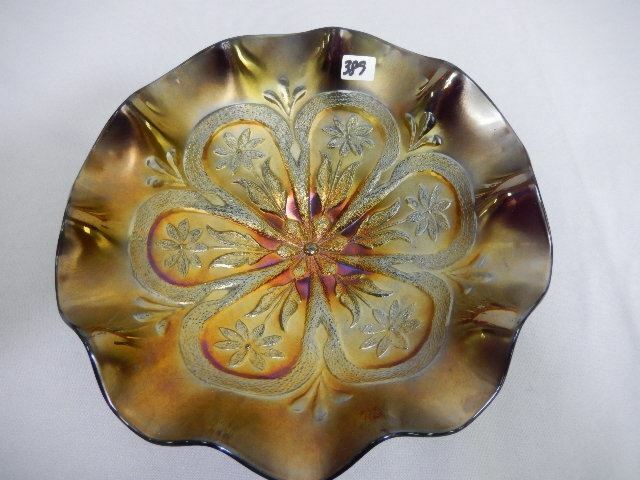 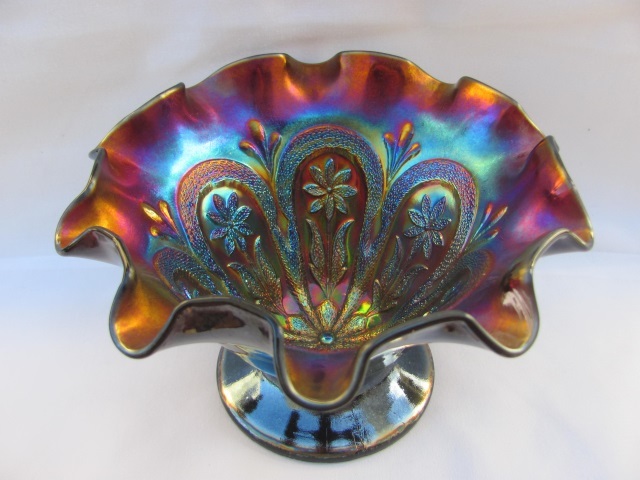 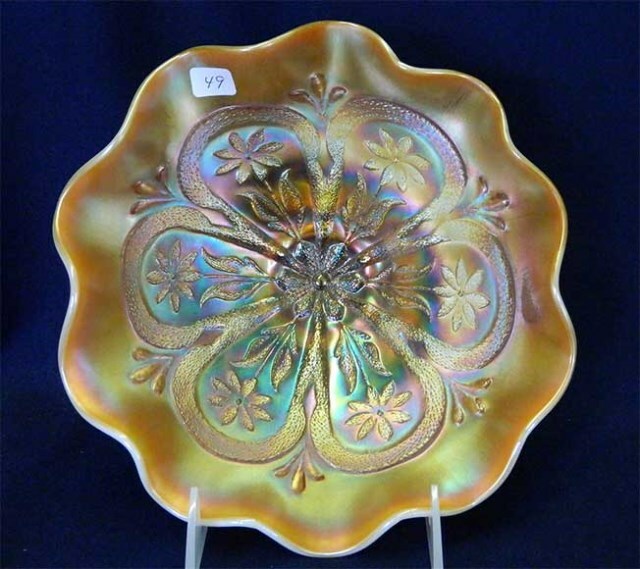 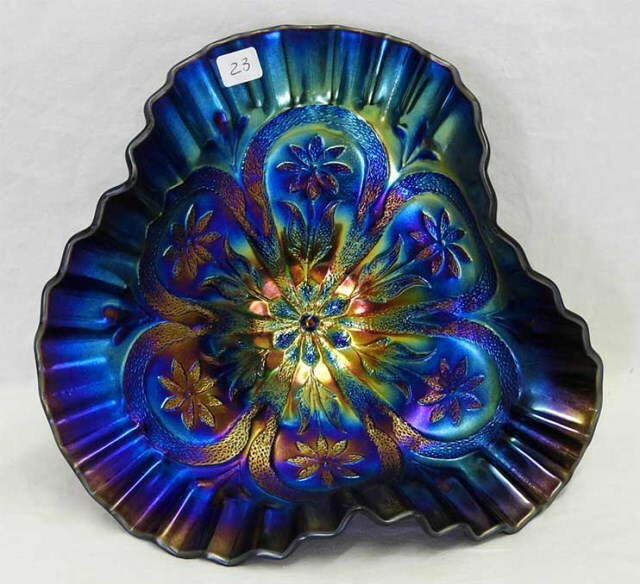 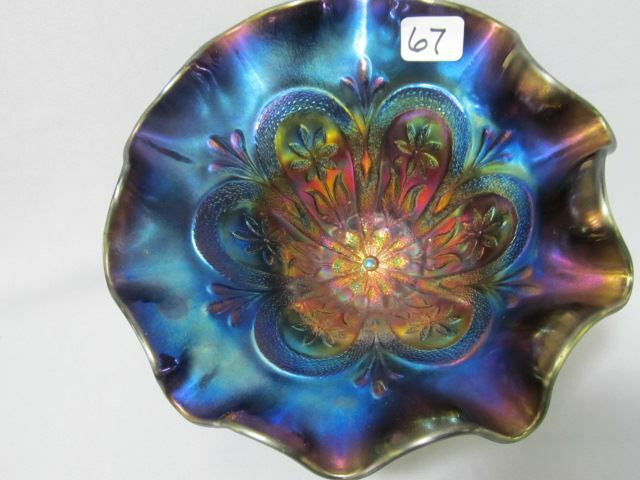 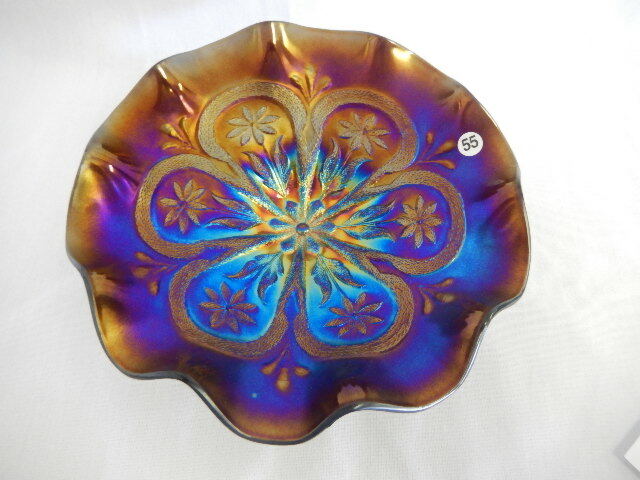 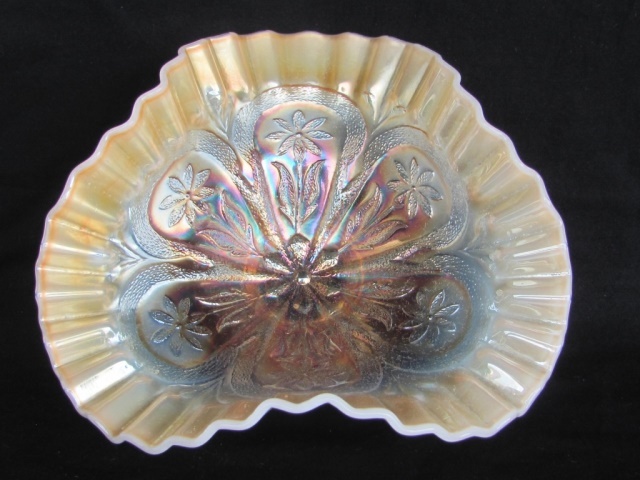 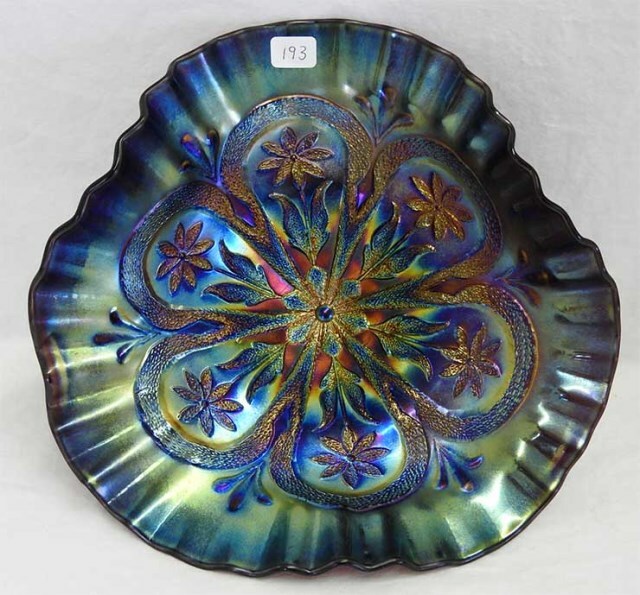 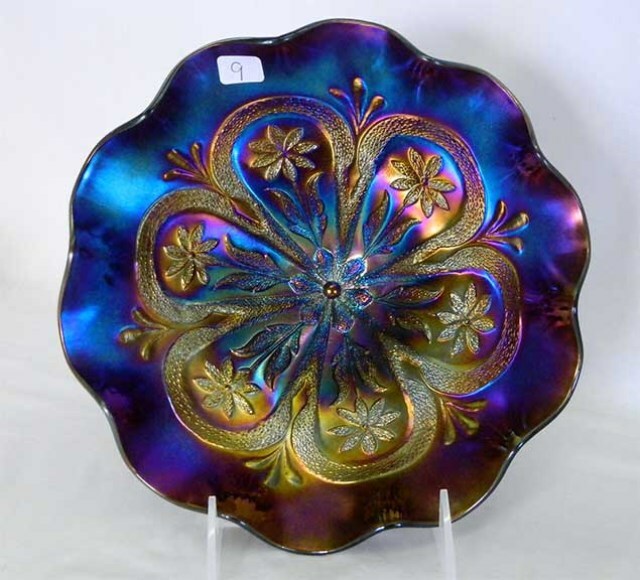 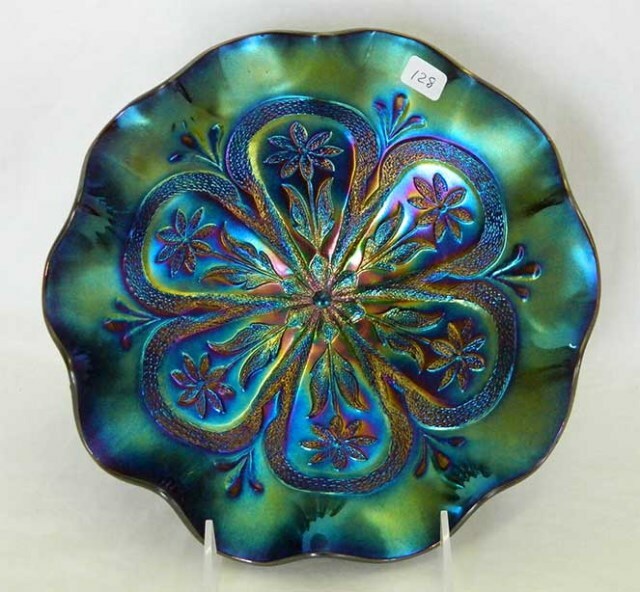 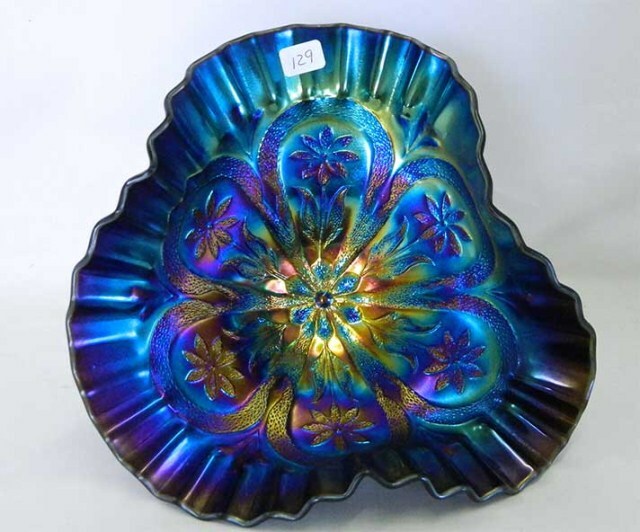 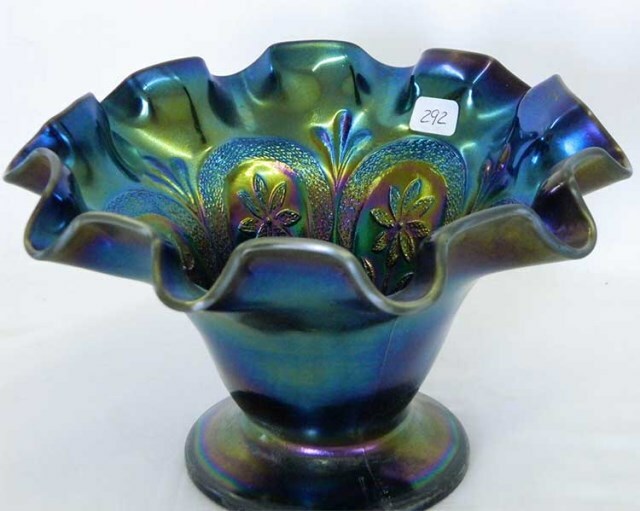 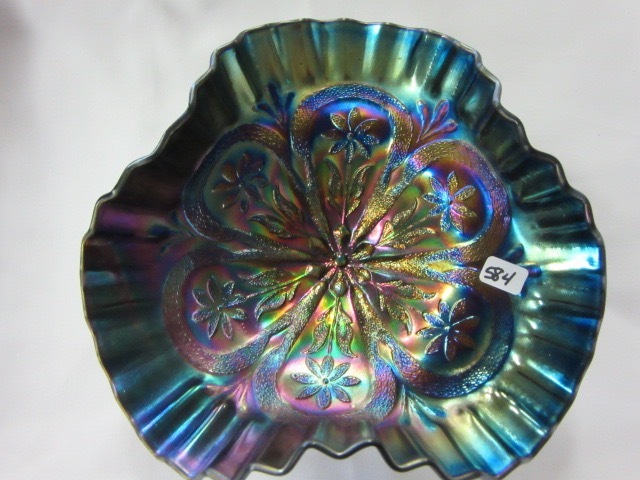 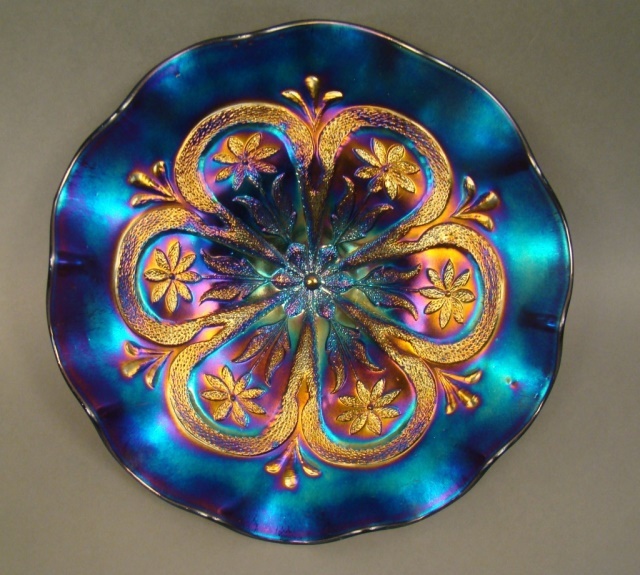 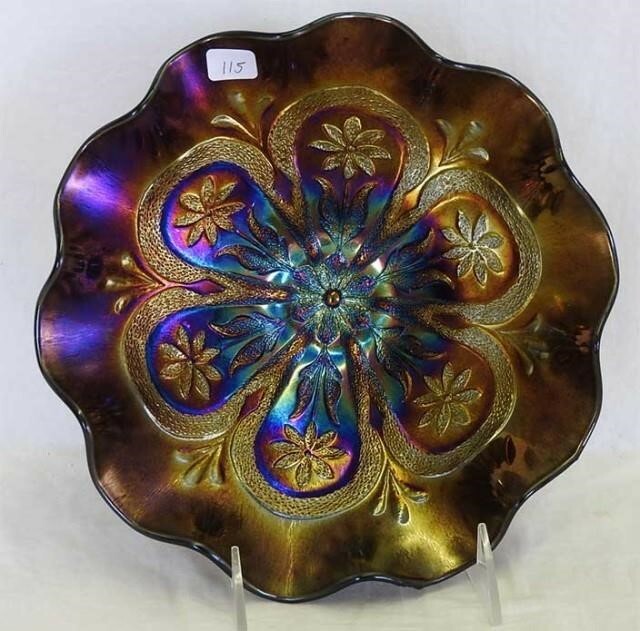 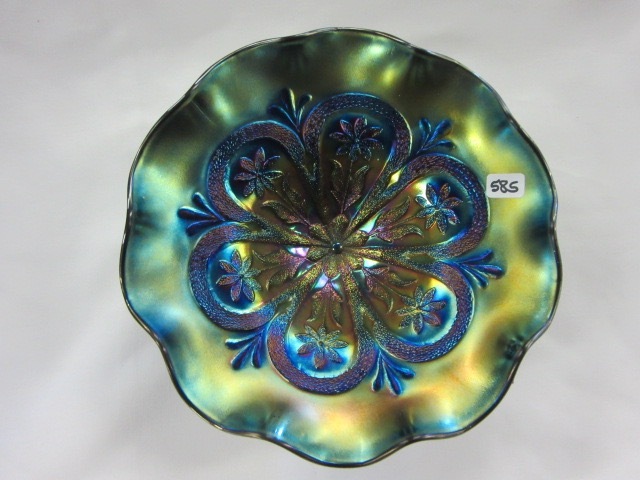 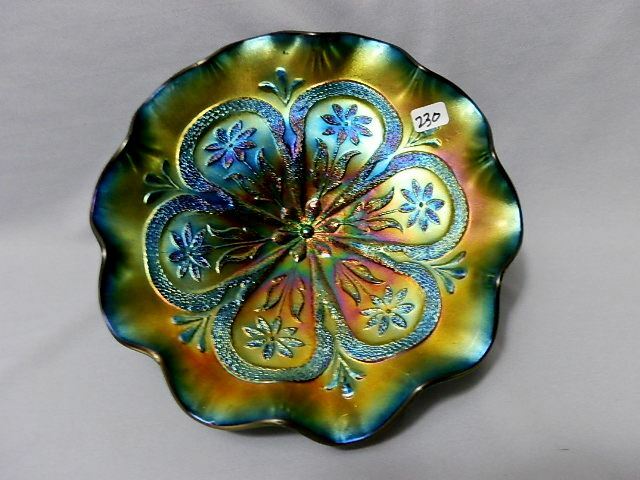 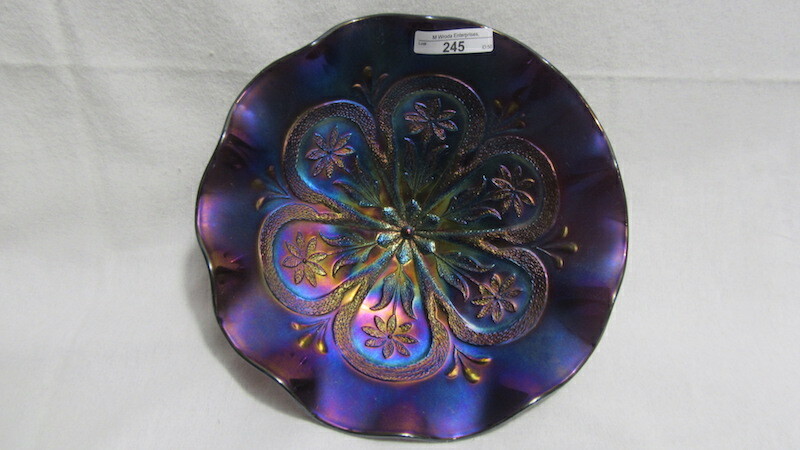 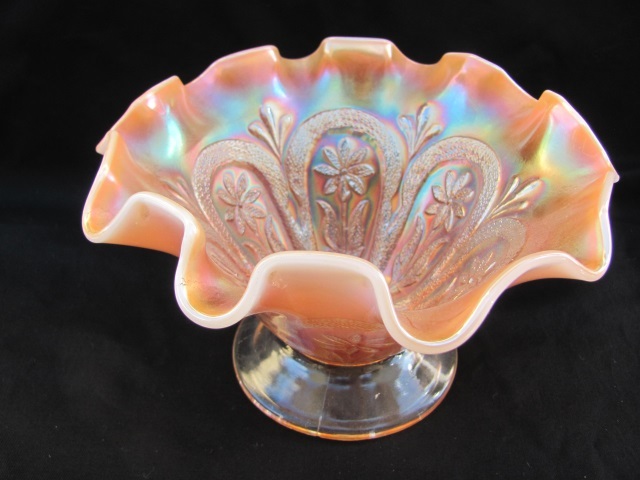 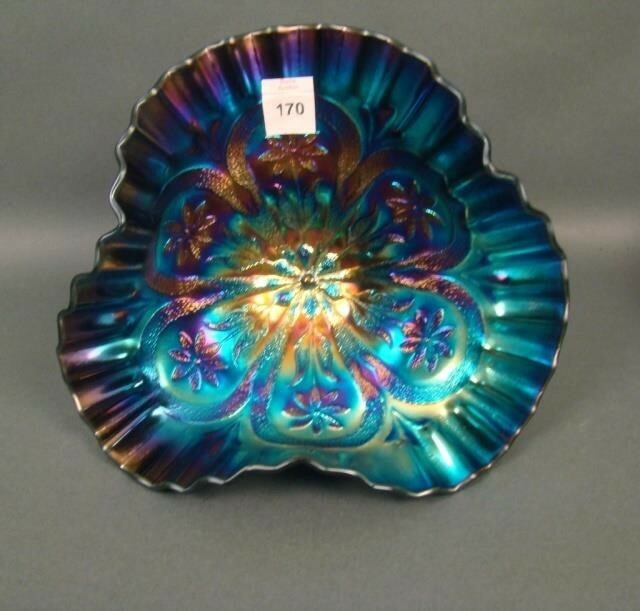 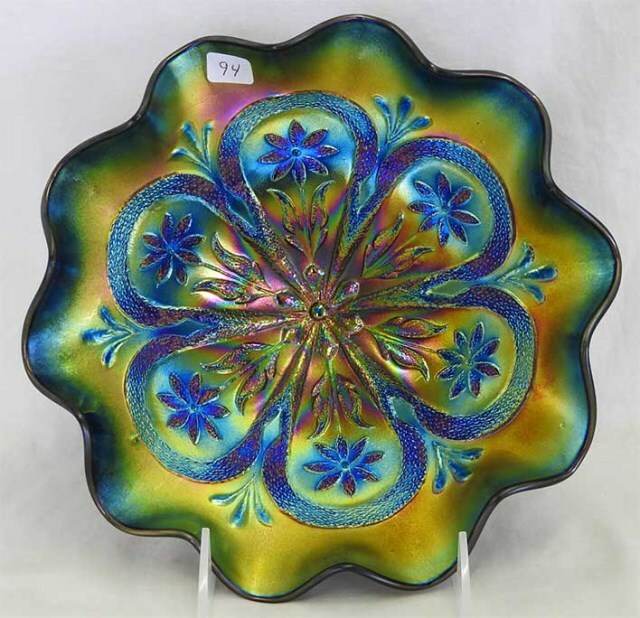 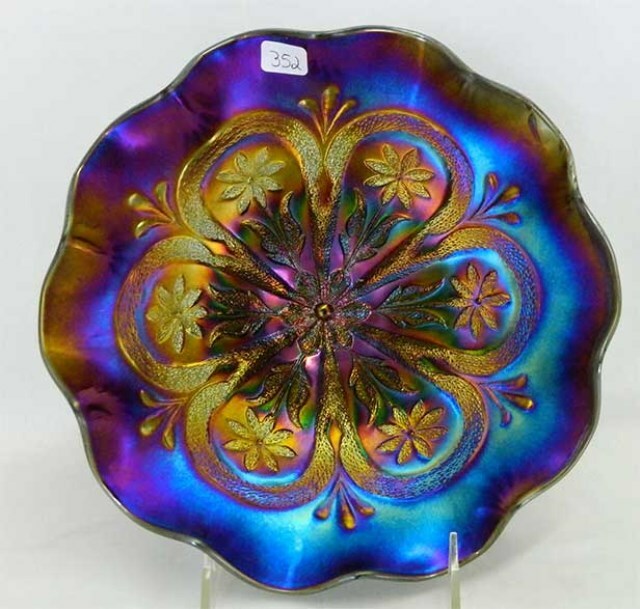 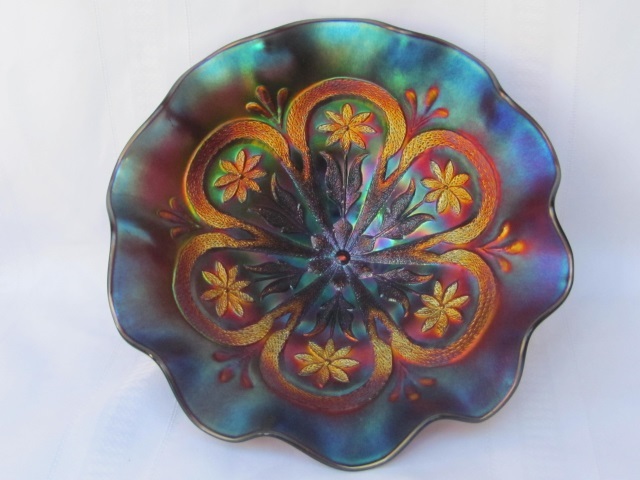 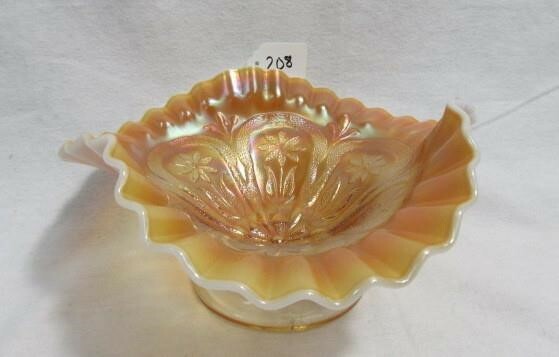 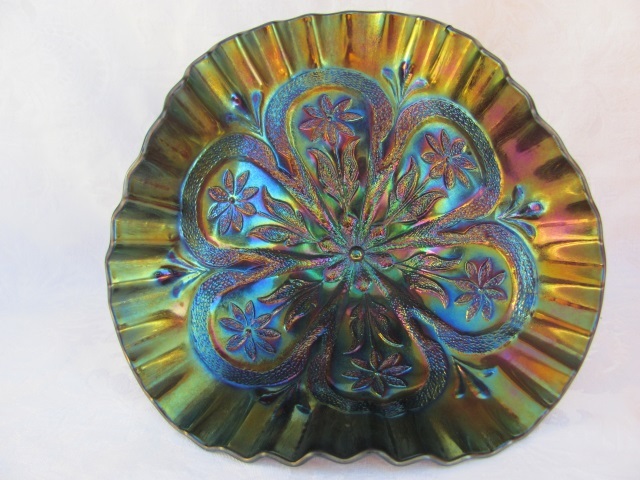 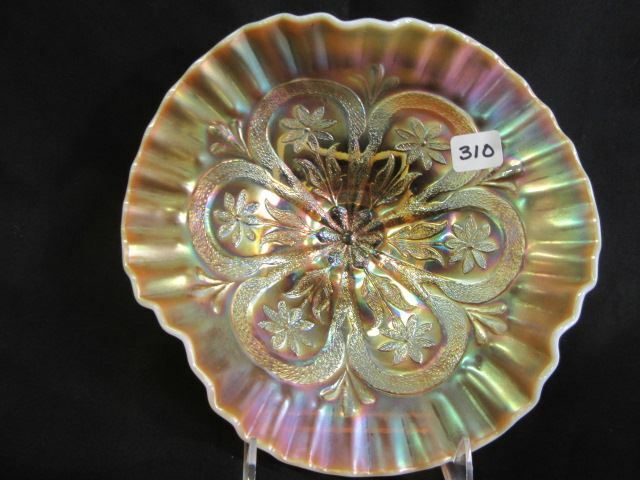 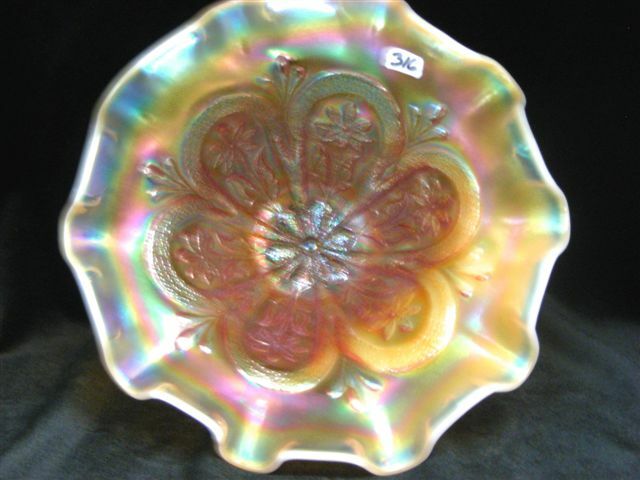 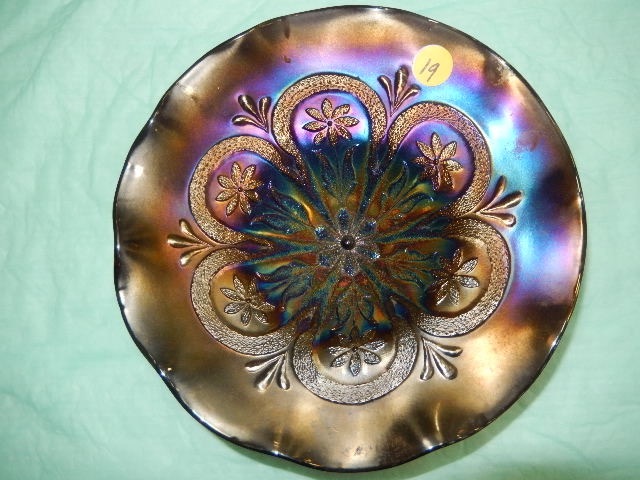 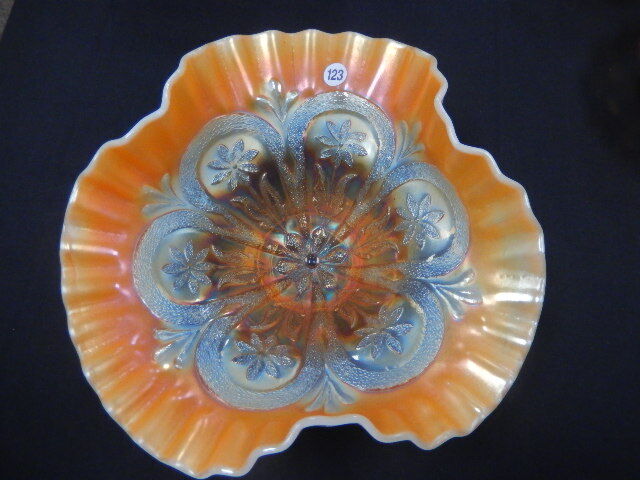 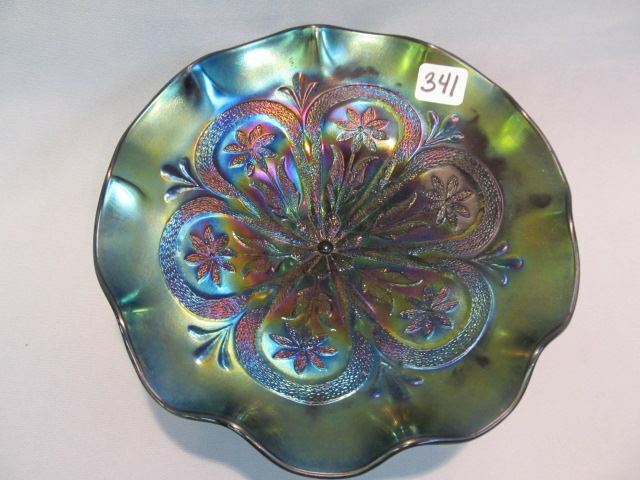 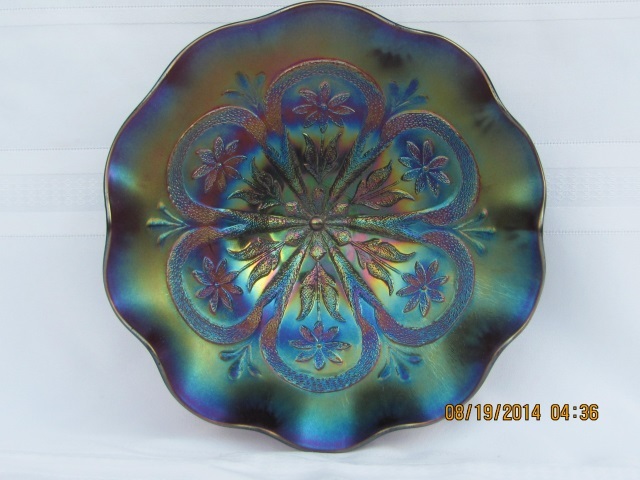 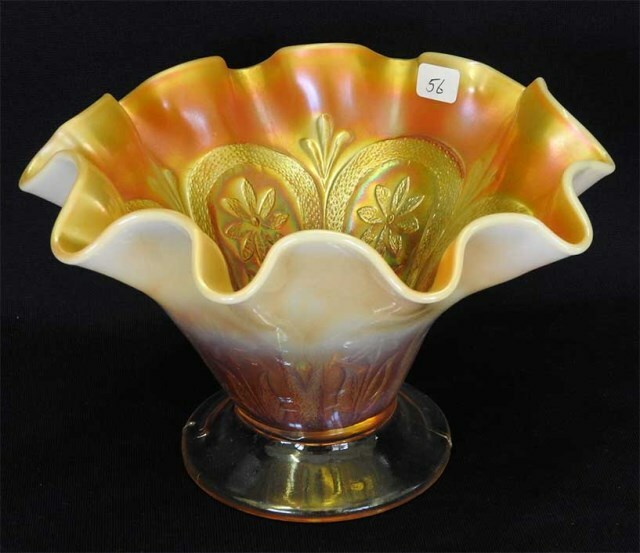 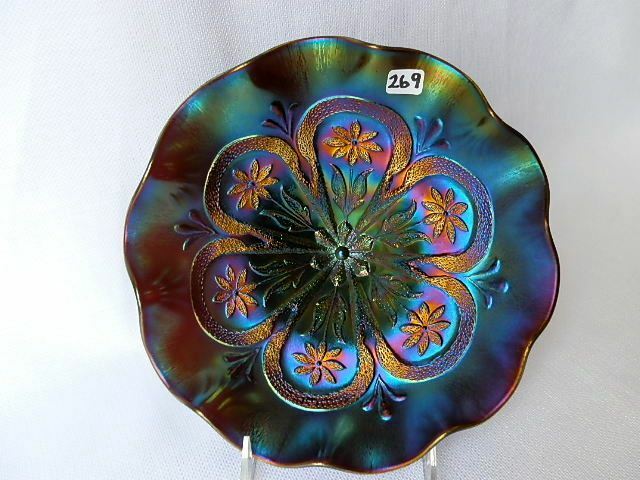 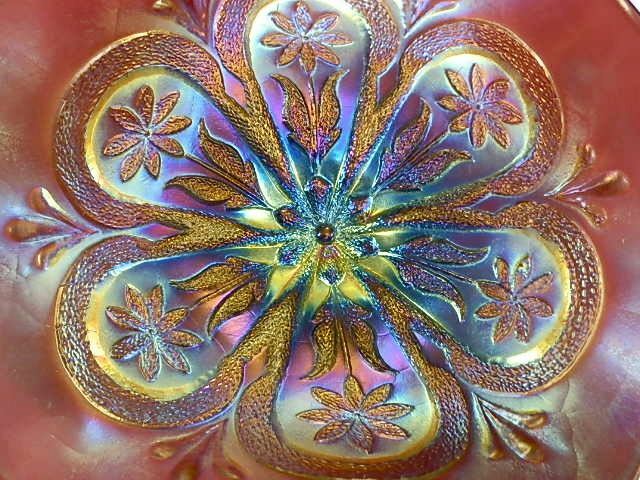 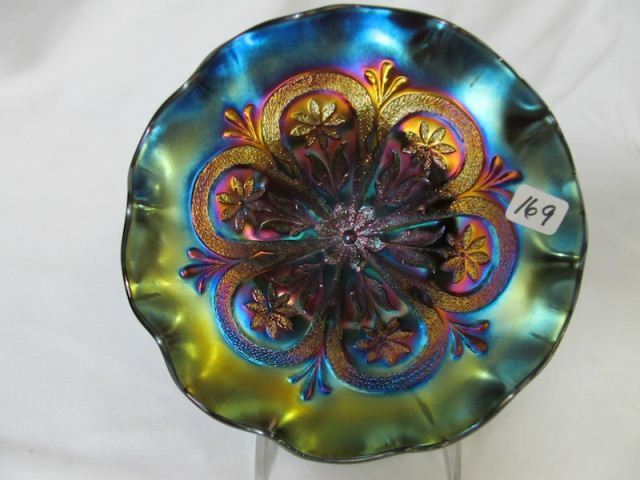 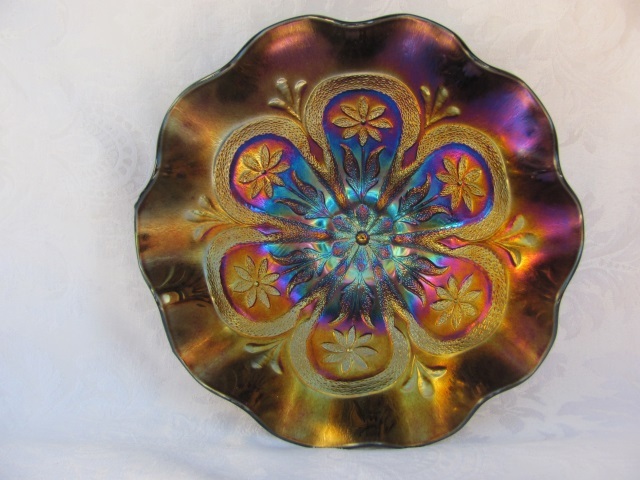 This peach opal ruffled bowl with painted flowers sold for $175 in 2012. 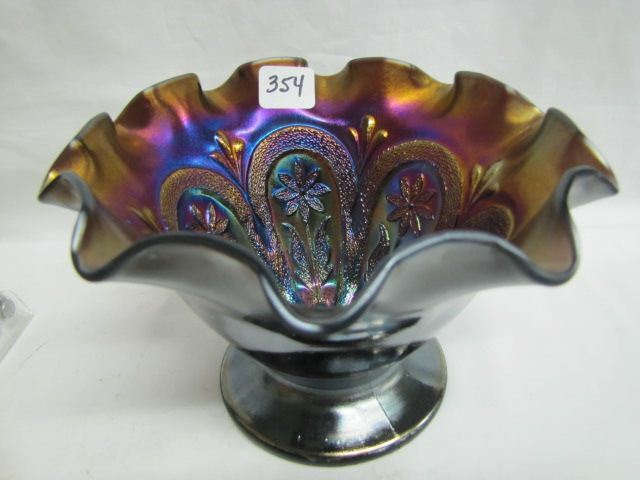 Photo courtesy of Jim Wroda Auctions.